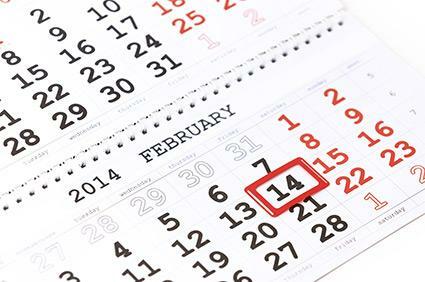 Knowing the upcoming major holidays can help you plan long term for parties and vacations. Use the following chart that lists the holidays through 2016 to make sure that your future parties and plans are on track. United Kingdom (U.K.) bank and local holidays, along with observances, were compiled using information from Time and Date and Gov.uk, Canadian holidays listed are those based on Time and Date, along with the Labour Code's holidays and Canadian Heritage's Important Days, and the United States (U.S..) information was compiled from Time and Date, the list of holidays available at USA.gov and The Street. By using the calendar above, you can plan your holiday parties and get-togethers without fearing you have the wrong date. Get your important dates in order and you're sure to stay organized throughout the year.